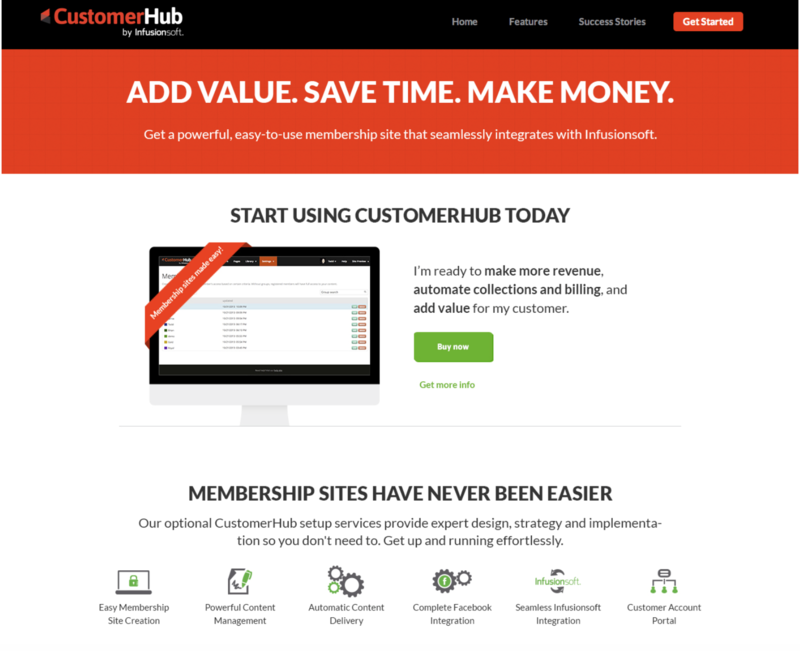 CustomerHub was the first product I owned at Infusionsoft. 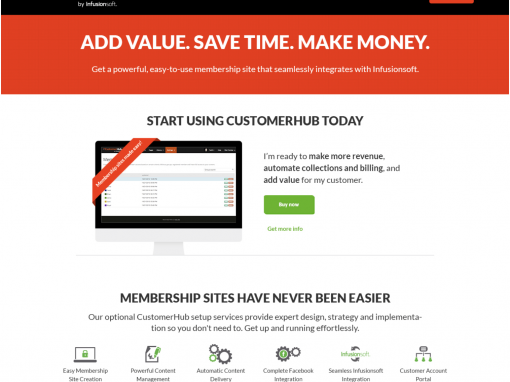 It was a membership plugin software (upsell to our core app) that customers used to create membership websites. When I took over the product, annual revenues were just shy of $1 million. Through marketing efforts, website optimization and this project, we increased annual revenues by half to $1.5 million after two years. 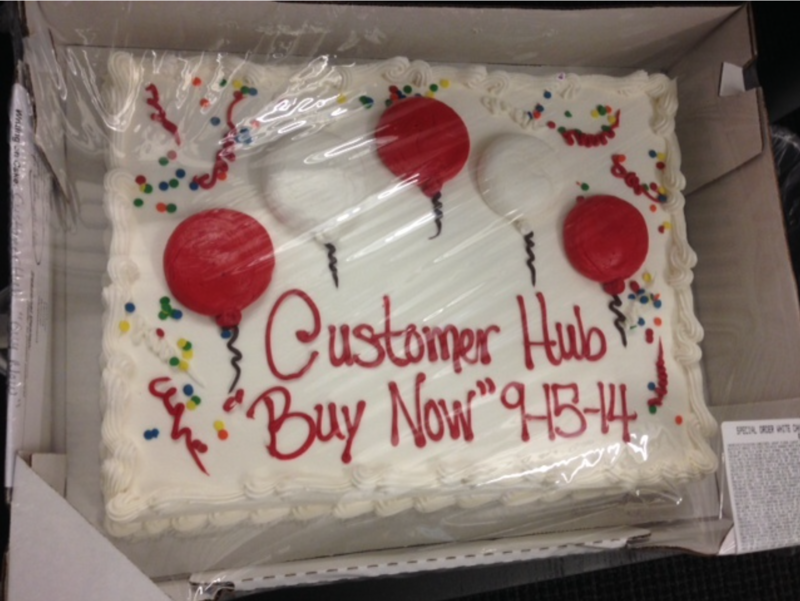 Most of our customers purchased CustomerHub 6-12 months after purchasing Infusionsoft and ramping. Our Value Added Sales (VAS) team would call a list of qualified customer opportunities every month and process any sales. 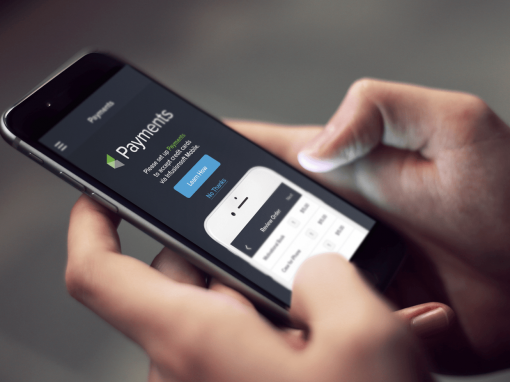 Invoicing, payment and implementation was all done manually because our systems didn’t talk to each other. After observing the buyer’s journey and speaking with internal teams, I wanted to make this entire process frictionless. The picture at right illustrates all the systems that have to talk to each other when selling and generating a CustomerHub add-on. 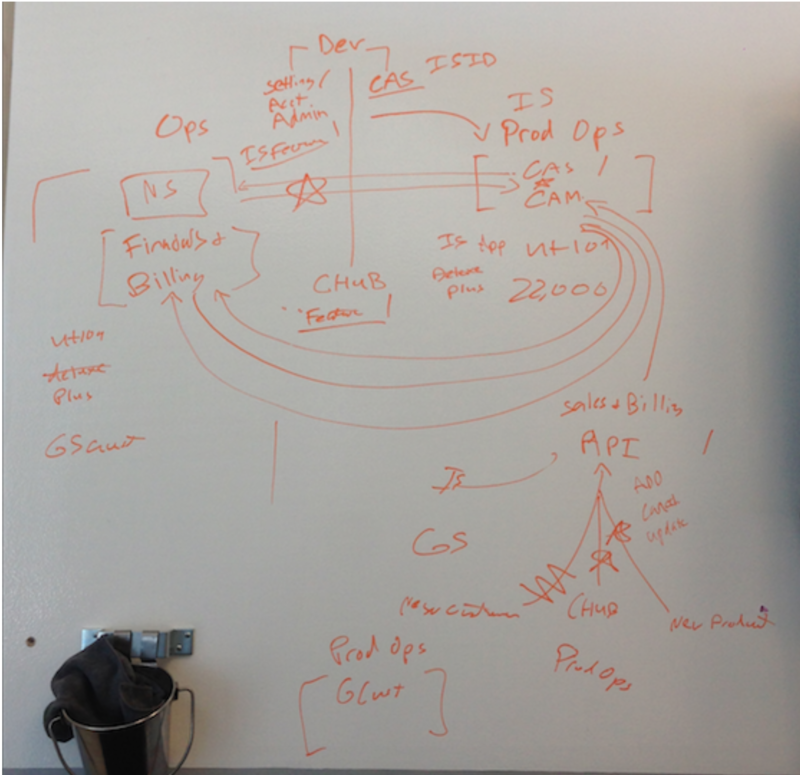 This was the first of many conversations I had with our sales, finance and dev teams. 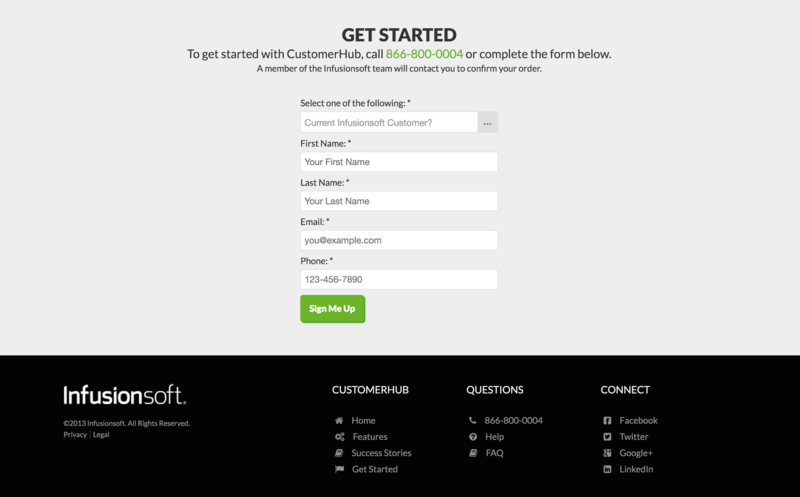 Prospective customers would navigate to the CustomerHub website and click “get started”. This old form (at the bottom of the page…not ideal) created a lead record in Netsuite that our VAS reps would follow up with. 30% of these customers were ready to buy without further questions. We estimated these calls still consumed at least 30mins for our VAS reps. Monthly, that equates to 8.7 hours of unnecessary phone calls. If the total time spent (prepping for the call, making the call, creating the new CustomerHub account) was 45mins instead of 30mins, that’s 13 hours of wasted time. If these prospects were enabled to self-purchase, that time is reduced to zero, giving VAS more time to pursue leads who still have questions. 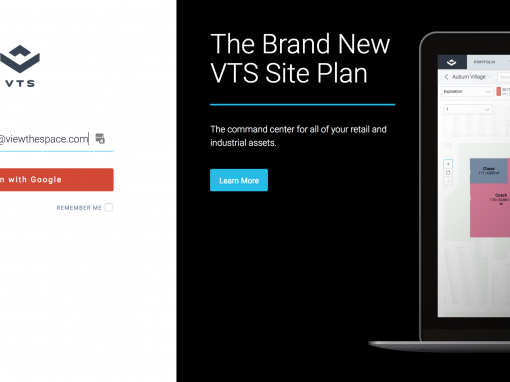 The new form (below) is not only a more delightful experience, but gives the prospect the options to “buy now” or “get more info.” The “get more info” option leads to a Netsuite form and will create a lead for VAS to follow up with. Past sales metrics showed that 30% of customers offered discounted accompanying services at the time of purchase would purchase them. So, I replaced the static sidebar in the CAM cart with an HTML one that allows prospects to do just that. The sidebar featured our best selling (and most profitable) service packages and gave the user an option to ‘learn more’ (opens the service sales slick in a new tab as to not abandon the cart page) or ‘add to cart’ (takes them to a new CAM cart, with their CustomerHub subscription and the service package in it). This increased year one revenues for 30% of our accounts by 85%. Prospects finish checking out on the next screen and our systems create their CustomerHub app instantly. 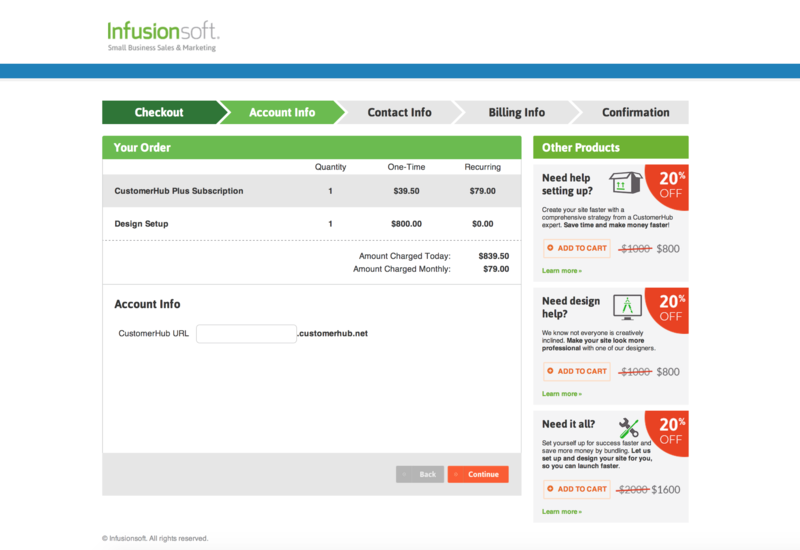 We also add the billing component to their account in Netsuite and send their “getting started” email sequence. This allows them to begin using CustomerHub instantly. This was no easy task. 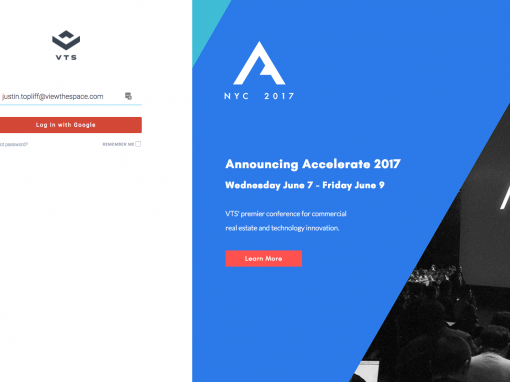 I’m a big proponent of celebrating when teams come together to make something great. So what did I do? I bought everyone a cake.